An innovative 3 step daily regime for fine hair and reduced volume, that provides instant volume and visible root lift, maintains optimum hair health from the inside out. 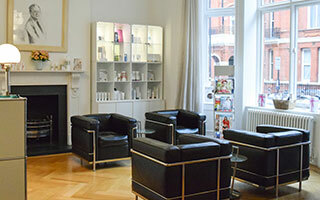 TRICHOTHERAPY® is a unique, holistic approach to hair care that should form part of your daily hair and scalp regime. To help get the best from TRICHOTHERAPY®, it should be used in conjunction with a healthy and balanced diet and lifestyle. The hair density formula helps to increase hair density and improve overall hair condition. It improves overall hair condition, is rich in primary anti-oxidants, and helps to moisturize and improve shine, fullness, and strength. Organic Quinoa Protein contains high levels of all 8 of the essential amino acids that help to repair damage, protect the cuticle, and condition the hair. Its unique molecular weight provides enhanced penetration, so the hair is left fully hydrated, silky and shiny. Oligoquat M has extensive moisture-binding properties and helps to retain moisture in the hair. Also helps to smooth and repair damaged cuticles leaving a brilliant, healthy shine on the hair. Green Tea extract provides a super anti-oxidant boost to diminish damaging free radicals. Hydrolyzed Elastin provides increased elasticity, strength, bounce and shine. Polymide-1 helps to provide volume and increased fullness, whilst smoothing the hair. Panthenol helps to detangle and moisturise whilst providing incredible gloss and shine. Directions: Apply to towel dried, clean hair. Spray generously and then gently comb through, starting at the ends of your hair and working up to your roots. Use daily. B6 works in harmony with Zinc Sulphate and Azelaic Acid to inhibit 5a reductase activity of converting testosterone to the more damaging DHT. Escalol protects hair from damaging UVB rays, which lead to degradation of the hair’s structure and helps keep hair smooth and easy to comb. Methyl Nicotinate is a ‘vaso dilator’ that enlarges the scalps blood capillaries to improve circulation. Piroctone Olamine is an extremely effective anti-flaking agent that removes flakes. 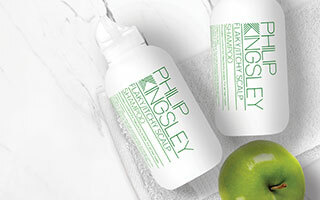 Created with over 60 years of Trichological expertise and inspired by a combination of vitamins and minerals prescribed on a daily basis at the Philip Kingsley Trichological Clinics, Tricho Complex contains an exceptional mix of vitamins and minerals which contribute to the maintenance of normal, healthy hair. Iron, L-lysine and Vitamin C – work in combination to help maximise iron absorption and promote iron storage, which are essential to the production of hair cell protein and the hair growth cycle. Biotin (Vitamin H) and Pantothenic Acid (Vitamin B5) – part of the B complex group of vitamins. Aids in energy metabolism and helps the body to break down hair essential carbohydrates, fats and proteins. Selenium – Can contribute to normal thyroid function and a healthy immune system, both of which are important to healthy hair growth. Vitamin D3 – essential to skin health and cell turnover. 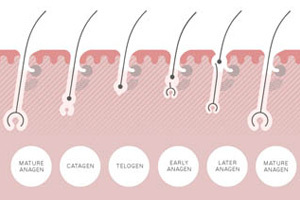 We also know that there is a Vitamin D receptor attached to every hair follicle and that Vitamin D is essential to a healthy hair growth cycle. Vitamin D deficiency is very common, especially in the winter and also for those who live in cities and spend a lot of time indoors. L-Methionine – a hair essential amino acid.